The fashion world has been introduced to smartwatches for a while now though many don’t know what a smartwatch is. If you are a fashionista, whether male or female, your collection of accessories should include this much coveted timepiece and you can sport it on various occasions to stand out in the crowd. Here are details about smartwatches that you will find useful to understand it and choose it. In simple words, a smartwatch is a wristwatch having a screen and the capability of doing much more than your ordinary watch does i.e. just telling you time. In other words, it’s like a small smartphone sitting on your wrist, though having a few differences. How does a Smartwatch Work? As a norm, a smartwatch has to be connected to a smartphone to enable it to work to its full potential. If you don’t do that, it probably will only tell you time. The connection is done via Bluetooth with some watches allowing easy and quick pairing with NFC chips. Once you hook your smartwatch to your smartphone, you can select what alerts you want to get on your wrist, such as calls, emails, messages and social networks. Several smartwatches are able to do much more than just telling you about someone is calling. These watches are designed for men as well as women. The designer is the renowned Eric Gizard, Paris! You can download apps that will allow you to capture a photo remotely or control what music to play on your phone. Functions in smartwatches vary and so, you should check before buying. Does Any Smartwatch Work with Any Smartphone? The answer is ‘no’. Smartwatches are designed to work with only specific mobile phone platforms, viz. Android or iOS. So, this is another point for you to check before buying. Some smartwatches match only with particular smartphones, and not just the chosen operating system. So, you have to check that too. NOWA Shaper collection watches are ultra thin and have a classic face, unlike the feature-filled smartwatches so you won’t have to wear a bulky smartwatch but still have all the awesome features. Men as well as women can wear these watches and look fashionable. This watch requires no charging. It works up to 8 months on a single regular CR2025 battery. 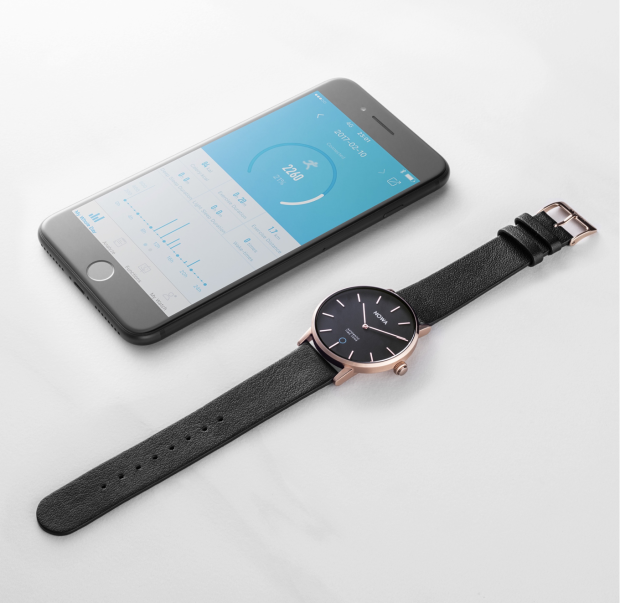 If you are a frequent traveler hopping from country to country, NOWA watch is extremely useful to you because of its automatic time zone feature. So, wherever you are you get the exact time with this watch. If you are a fitness enthusiast and want to track your activity, your NOWA watch does that for you and helps you in tracking your fitness activities. It tracks distance, steps as well as calories burned. It also monitors your sleep patterns and helps you maintain a healthy lifestyle. First and most important thing for a fashion enthusiast like you is that the NOWA watch has a classic face. Secondly you have a great choice for its straps. 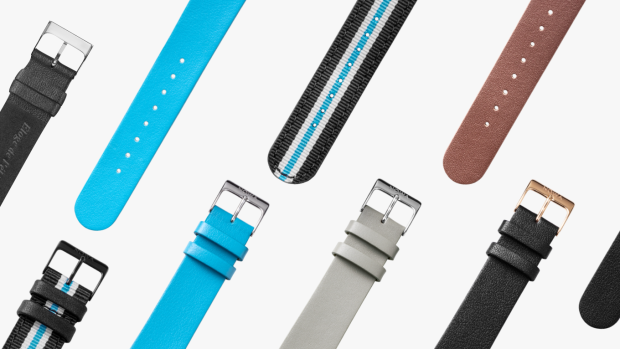 They are high quality Italian leather straps with nubuck lining or striped nylon having calf leather lining because of which it fits on your wrist like your own skin, just another layer! They are available in a range of colors. The famous designer Eric Gizard is the designer of this awesome watch, that has beauty and technical sophistication combined in it. The ultra-thin face and straps of watch make it ideal for daily wear and offers a modest yet stylish look. All in all, if you are looking for a smartwatch, you have a great choice in the form of NOWA Shaper. Have one and enliven your wardrobe.